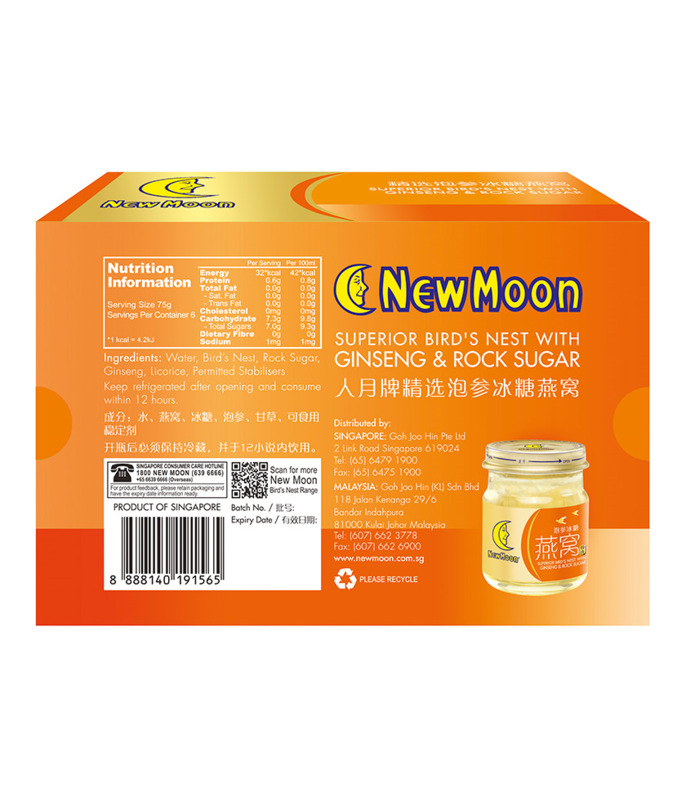 New Moon Superior Bird’s Nest with Ginseng & Rock Sugar is made from superior grade 100% genuine bird’s nest. It is an ideal food supplement for all ages. 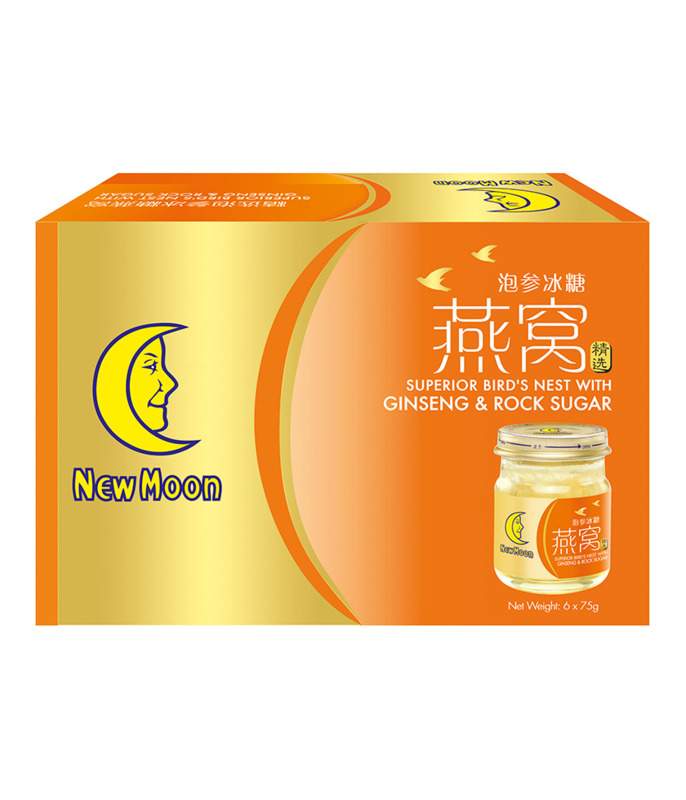 Ginseng, believed to boost energy levels and reduce stress, is coupled with licorice to further enhance the taste of the bird’s nest. • Ginseng aids to maintain overall good health. No Artificial Colouring. No Artificial Flavouring. No Preservatives.